Our friends at Walnut Wallpaper in Los Angeles just installed our Star Wars Imperial Forces Wallpaper in their display wing. If you’re around that area and are curious how the wallpaper looks and feels (it’s flocked!) in person, stop by their store to check it out. Their info can be found HERE. 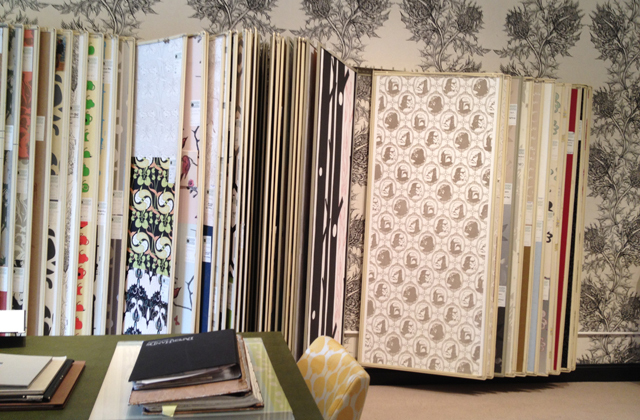 Otherwise visit them online to order a sample of the wallpaper HERE. 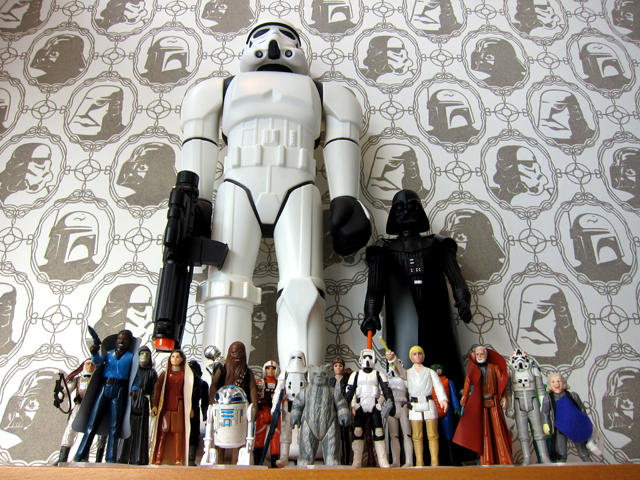 Super7 is proud to announce the inaugural release of Star Wars x Super7 Collection: The Imperial Forces Wallpaper! Featuring textured portraits of Darth Vader, Boba Fett, and members of the Empire, this hand-screened, flocked, designer wallpaper is an artistic way to decorate your office, collectibles room, or space station. Star Wars Imperial Forces Wallpaper is available in a variety of roll sizes – please check the dimensions of your room and consult online wallpaper calculators to determine your needs. Rolls begin at $75 and can be ordered at www.super7store.com/wallpaper.html. A great option for collectors and only available directly from Super7!